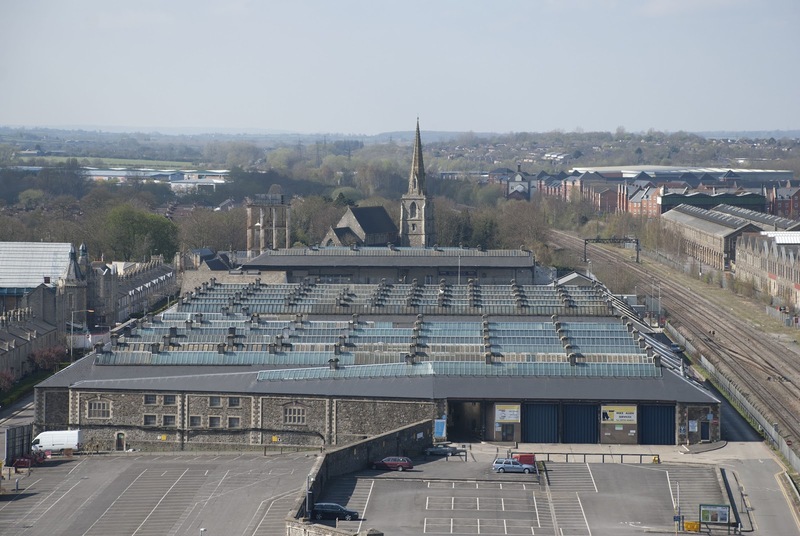 Jon Ratcliffe's Blog: Swindon's Regeneration : Does The Uni Dream Start Here? Swindon's Regeneration : Does The Uni Dream Start Here? The bid for funding to set up a University Technical College has been successful and it looks like this is the very first step in Swindon getting a university. The preferred site for the UTC is the former rail works carriage work buildings that run along London Street. I had a fish through the station forecourt images and found the above picture, taken from the top of the Signal Point building, showing the buildings and site. From these unassuming workshops, will Swindon's University dream start from?